American Endurance Ride Conference want to increase their attendance at their annual convention in Reno. 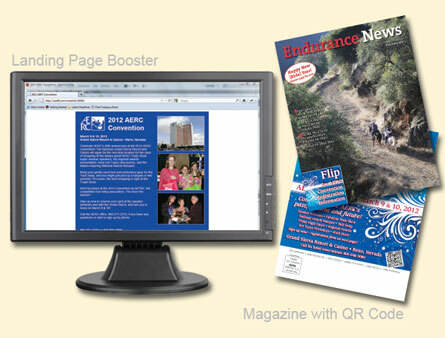 AERC added a QR code to their monthly publication to drive viewers to web landing page that contained additional information and photos of the event. The viewers could also connect to the AERC landing page via Twitter and Facebook. AERC will use the web analytics to evaluate how to develop added interest in future events.